Third Party People is a twice monthly series on the people behind the third party publishers that innovate new options for the Pathfinder Roleplaying game, and provide hungry young freelancers a venue for their creations. Today I speak with Mark Gedak, owner of Purple Duck Games. RC: It feels like Purple Duck Games has been around forever. Is that accurate? PDG: Sometimes it feels like Purple Duck Games has been around forever, but I think our first official product for sale came out in August of 2010. Prior to the official launch of PDG, I had just finished freelance work on Forgotten Foes for Tricky Owlbear Publishing and I also had been running and releasing content on the Grand OGL Wiki since 2008 (now defunct). RC: What is Purple Duck Games all about? PDG: Purple Duck Games is a vanity press that I created to initially publish my own writing. Over time that goal has evolved to include the development of our own world using the Pathfinder Roleplaying Game rule system as its chassis, as well as branching out into other OGL and independent systems. 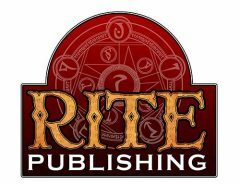 RC: To what do you credit Purple Duck Games’ longevity as a publisher of RPG content? PDG: I think it can be attributed to three things: finances, god(s), and luck. Purple Duck Games is not a primary source of income for me. So I am able to work on the things I want to do, pay writers to write the things I want for my game, and view my company as an extension of my hobby. In terms of sales, we are at a stage now where we have enough of a product catalog that the company tends to stay in the black most of the time. So I don’t need it to put food on the table, but occasionally it can take us out to eat at McDs. When I was working on Purple Mountain: Temple of the Locust Lord, one of the things that annoyed me as a designer and writer was the lack of open game content gods. Many companies had created faiths but most locked them down under product identity. I had even approached Robert Thomson of 4WFG to use his gods from the Book of Divine Magic but he wanted them to remain closed which is totally your prerogative as a publisher. This led me to create the Open Gods Project that eventually because the Gods of Porphyra our 100% open game content faith book. This eventually lead to things like Monsters of Porphyra, Fehr’s Ethnology, and the Lands of Porphyra Campaign Setting. Now 90% of our products built from the PFSRD tie into our setting Porphyra. I have had the great fortune to have worked with many talented writers, artists, and publishers. Everyone that PDGs has worked with has enhanced our products… far better then when I started out. In particular, Owen K.C. Stephens, Steve Russell, jim pinto, Lousis Porter Jr., Robert Thomson, and Rick Hershey (and many, many, many others who I have not listed) were all publishers who provided advice to me early in PDGs existence (and still do) about how I could make my books better. I’ve worked with a number of young writers and artists who helped define the look and feel of PDG products. Many have outgrown us and found further success elsewhere but that is part of what it means to be a freelancer. RC: You continue to produce products that Pathfinder players can use in their game, but your products no longer release under the Pathfinder Compatibility License. Can you explain what that means technically and why Purple Duck Games went this direction? PDG: In the simplest technical sense it means that we no longer carry the Pathfinder Compatibility Logo on our new products. We still publish material under the Open Game License (much like Paizo does) but not the compatibility license. Make reference to content that appears in any of the Paizo books listed in the Exhibit B list within the text of our product. You must use your best efforts to preserve the high standard of our trademarks. You may not use this License for products that the general public would classify as “adult content,” offensive, or inappropriate for minors. You agree to use your best efforts to ensure that the licensed products are fully compatible with the Pathfinder Roleplaying Game as published in August, 2009. With the advent of Porphyra products, I quickly came into the situation where I was 100% sure we could follow these rules. 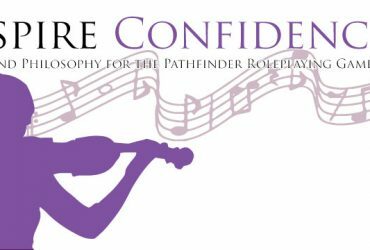 There are a number of places where we have specifically decided to operate under different rules than the Pathfinder Roleplaying Game (and therefore I know we are not fully compatible). There are some things, almost cosmetic things, where we have differences [and I expect that most other 3rd party publishers do as well]. Secondly, Drow of Porphyra, deals with mature-ish content. When I uploaded it I tagged it as “adult” content asked them to review it to decide if it was adult content. Which ended in a number of circular emails of me asking if they (the licensor) deemed it to be adult content and them responding that if it was adult content it couldn’t be Pathfinder Compatible. A series of back and forth emails went nowhere so I release it under the OGL alone. By this point most of my customers already knew that Purple-covered books were my Pathfinder releases and Yellow-covered books are for the Dungeon Crawl Classics roleplaying game. So a logo saying Pathfinder Compatible didn’t make the release more Pathfinder-y. Also from my home game I found that my players don’t use books anymore they use tablets and laptops and when they are missing content like a feat or spell they look it up on the d20pfsrd.com or the Archive of Nethys so saying see Chapter 3, or the Pathfinder Roleplaying Game Core Rulebook seem to have little value to connected gamers. Foregoing the license means that I am free to include adult content, offensive content, or inappropriate content if I want to. Which allows Patricia’s Drow of Porphyra series and any of our other books to be as depraved or wholesome as we wants it to be. RC: What three products embody Purple Duck Games’ mission statement, and how? PDG: Wait, we have a mission statement? When the hell did that happen? Much of our work using the Pathfinder ruleset has involved the development of our kitchen-sink world of Porphyra. When we created the Open Gods Project, each freelancer was given a set of domains (often conflicting or at a minimum strangely grouped) and were given the task of coming up with Gods for our world. Each freelancer turned in their gods and Perry Fehr (my editor and Porphyra-architect) brought the gods together into a single narrative and developed the creation story for how this world was brought together. While I was working on the first Monsters of Porphyra (called the Monster Update Subscription at the time), which was originally conceived as an unofficial sequel to Forgotten Foes, I had a lot of art piling up. Art is huge cost in my operation. Thankfully, many of the artists that I work with have stock art agreement with me so I can spread out the cost a bit. At the time, I didn’t have much art and I wanted to make Porphyra more than a human setting so I began sending Perry art to make race books. This lead to the development of the ith’n ya’roo (our yeti-men), dhosari (quadribrachial humans), erkunae (chaos-worshippers) and many others that helped shape the history of the world and populate the world with more than just humans… long before any of its history was formally written. Lands of Porphyra was written by freelancers who were given two or three ideas and the name of a country and sent to write. Perry then got the thankless task (or unique opportunity) to unique the text into the overall narrative of the world that we have been building (back and forth through informal discussions and one off comments). A giant map was drawn (and coloured with pencil crayon). And after what seemed like an absolute eternity for both Perry and I we had a unique setting that has defined characteristics and yet is flexible enough to allow us to write almost anything (like the bizarre Puppets of Porphyra and Hybrid Class: Luminary to the more traditional Clerics of Porphyra or Monsters of Porphyra 2) and still have it make sense. RC: How has Purple Duck Games separated itself from the other third party publishers? PDG: With the advent of Gods of Porphyra, we made the decision to tie almost everything that we write using the Pathfinder Roleplaying Game rules as base will be tied to Porphyra. This has been a bit of task to both educate our freelancers to our system as well as to keep things straight so we don’t contradict ourselves. Our content supports the existing Pathfinder rules by adding options to players like with Kineticists of Porphyra while also expanding and detailing our world. 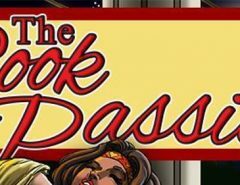 PDGs write books that enhance our world’s story as well as supports general gamers. I think there are only a few 3PP have as rich a campaign world as developed as we do. Perry would say this is our “narrative first” approach because each thing we work on needs to enhance what we have done. RC: How do you get attention in the crowded Pathfinder Third Party Publisher space? Brand your products. Each release should be clearly tied to each other. I think we have manage to do this well with our Porphyra logo (by Rick Hershey) and by our Purple Duck Purple branding colour. If people see that purple they now we have a new book out. Hire people who like to talk about their work. I do not like to talk about my work. I have done the layout on all of Purple Duck Games products and have written or tinkered with each release and yet talking to others about them is difficult. It’s gotten little better because I’ve done some panels now at the Great Falls Gaming Rendezvous and that has helped a little. Since I am not comfortable talking about PDG work on public forums in a promotional way it has been essential to hire people who write well and are good at self-promoting. For Pathfinder that has meant working with people like N. Jolly, Carl Cramer, and David N. Ross who always promote their own work… far better than I ever could. Get reviewed. If you are writing for the Pathfinder Roleplaying Game rule set you need to get your products reviewed. For most third party publishers that means sending your work to Endzeitgeist for review. There are other reviewers but he is the most consistent at receiving and writing reviews. Regardless of the score you get on a review, the text allows you an opportunity to further discuss your product. Promote others. If you promote the work of freelancers or other products by sharing reviews and product announcements they will do the same for you. If never hurts you to help others. RC: What is your gaming background, and how did you come to be so invested in the Pathfinder RPG? PDG: I started playing roleplaying games in junior high with a red box set that I bought in the toy/game section of our local Co-Op (which is where I also bought a bendy otyugh from Kenner). I’ve played roleplaying games ever since. I’m not sure I am “invested” in the Pathfinder RPG over other Rpgs. I think I am invested in the Open Game License. For a time, I was displaced from my gaming group and then 3rd Edition came out with the OGL. Death in Freeport was the first module I ran for it and Creature Collection was my first Monster Manual in the 3.X era. I was amazed by the idea that anyone could create and publish content that could be used alongside Dungeons and Dragons. During this time, I did some minor freelancing for some companies and did some playtesting of material for others. When the 3.X era ended, my group was still enjoying the 3.X version of the game and naturally transitioned over to Pathfinder as an extension of what we had been doing. Now I’m invested in Porphyra and the OGL as we continue to build that world as 100% OGC. RC: What are the greatest challenges you face as a third party publisher of the Pathfinder RPG? PDG: Getting your product noticed by customers is the biggest problem for an introvert like me. Currently on Pazio’s 3PP Compatible list there are 187 publishers with at least 1 product for sale. Some of these publishers are active like Little Red Goblin Games and some are inactive like Headless Hydra Games but all of them have products that are on sale alongside yours. RC: How do you ensure the highest quality possible for your products, from game balance and the writing to the artwork and graphic design? PDG: I think the key to putting out high quality products is to work with the best people you can afford to work with. One of the hardest things to do is exist within a project budget but it is also one of the most important things to do for the long term survival of your company. When working with the best people, you also need to be the best person you can be. People need to be treated fairly and with respect. I think, and hope most people who have worked with PDGs have found me fair to deal with and support of their work. I think it’s important to work with people on a consistent basis. I have go-to writers and go-to artists who I commission regular to create content for our books. Working with people regularly allows them to become invested in world of Porphyra and its specifics (in terms of art). RC: How has being a third party publisher impacted your home game and other design work? PDG: Things that are designed by Purple Duck Games regular feature in my home game because it is usually Perry or I that DM. Stupid things that are said at the gaming table by players or myself often lead to the development of new content (like the spell Create Alligator Pit). Though we play in Adventure Path Campaigns (currently we are being murdered over and over and over again in Strange Aeons) all are heavily influenced by our class-focused supplements, our gods, and our monster books. RC: What comes first: an idea or a mechanic? PDG: It depends on the topic. As I writer, I spend most of my time working with updating and converting monsters which means the mechanics come first. When I want to do something new, new – it will usually start with an idea. 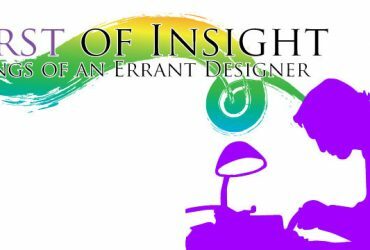 Unfortunately, do to time constraints I often hand my new ideas off to other writers to create. Sometimes, I end up with what I originally envisioned sometimes I end up with something completely different but likely more wonderful like Carl’s Assassins of Porphyra or David’s Legendary Classes: Illuminatus. RC: What lessons have your experiences taught you about publishing? PDG: There is never enough time or money to do everything you want to do. It is often a good idea to break larger project up into smaller projects to test the waters. The more clear your expectations are for your freelancers, the easier it is for them to meet them (which goes for high school students as well). If you are doing something that is taking time but not resulting in more sale, you should stop doing it and focus on what works. RC: What do you look for in a freelancer, and where have you found your strongest freelancers? 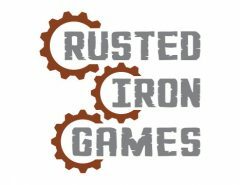 PDG: I look for freelancers who are skilled applying and creating rules for the game, understand our setting and work to actively expand it, those that respond to well to developmental changes, and those that respond to email regularly. We have found freelancers via open calls, work of month, and from unsolicited email pitches. I am not sure that any one approach has resulted in a stronger freelancer than others. The key to best book seems to be passion for a project. Often writers with pitches for a specific vision produce excellent books. If a writer or artist is tentative about a particular assignment it is probably not best to use them on that individual task. RC: If you could change one thing about Pathfinder, what would it be? PDG: I’m not sure that there is one thing I would change about the Pathfinder Roleplaying Game system because frankly as a 3PP we do that sort of thing all the time. If we don’t like the gunslinger class we create an Gunslingers Unchained. If the is one thing I would change about the being a Pathfinder Compatible Publisher it would be to put in place an actual process with a human being at Paizo who is responsible for working with publishers and responding to their needs. That way if you working on something it can be made sure to uphold the standards of the trademark. That way the trademark is more valuable to Paizo and 3PP who use it. Also by approving products it gives them more credibility instead of “anyone can click a button and be licensed”. We also publish for the Dungeon Crawl Classics Role-playing Game and even one of our product needs to be approved so that it doesn’t damage the brand. Every book that is released under that license is approved by Goodman Games and therefore that logo has more value. As a 3PP, for DCC I have never heard complaints about 3PP books being unbalanced or shoddy as we did hear in the 3.X and 3.P era because each book is vetted. This also prevents 3PP from Godzilla-ing over each others work or that of Goodman Games itself. I recently, had a book that was too mature for DCC but when I asked I was given clear guidelines of what needed to be changed from a person who had the authority to make those decisions. RC: What is a highlight of your experience as a third party publisher? PDG: One of the highlights for me occurred the Great Falls Gaming Rendezvous where I met Owen K.C. Stephens. It was such a weird experience for me because I’ve always considered myself to be very much a hobbylancer and in all his dealings with me he treated me as a peer in the 3PP community. Owen is one of the hardest working people in the industry that I have met. I think he currently works for 3 companies as well as owning his own company. He has worked very hard and has earned every success that has come to him. RC: One day you wake up and all your goals for Purple Duck Games have been met. What does that day look like, and where do you go from there? PDG: I am not sure what that day would look like. I don’t have any career goals in the industry beyond producing the books that I want to use in my campaigns. I think if I reached a point where I was “done”, I would need to find another creative outlet for my time. I suspect I wouldn’t be looking to go into freelancing because I quite like deciding what I am going to do with my time.